When you shop at AmazonSmile, Amazon donates a portion of your purchase to IAHPC at no added cost to you. You get the same prices and selection as Amazon.com, along with the pleasure of supporting IAHPC in its mission to advance hospice and palliative. This book is about many different aspects of terminal illness and bereavement from the social work perspective. The range of material covered is remarkable: the complex interactions between the personal, individual, and internal worlds of both of both patient and professional; discussion of what is a good death and the psychological challenge of how to relate to the dying as they are dying, and how as we die we relate to the living; the problems of cancer survivorship; a discussion of communication issues, emphasizing that in creating advance directives the quality of the conversation is more important than the completion of the paperwork; a psychoanalytic exploration of our primal anxieties and the associated defences, suggesting ways in which professionals, organizations, and individuals can contain the inevitable fear and pain associated with death and dying; meaning making — enabling people to find meaning in the course of a life-threatening illness; the experience with a number of social work-led educational programs for both care professionals and the public, and the difficulties in providing compassionate care, particularly for those suffering both physically and existentially, and the usefulness of Schwartz Rounds as an intervention to counteract this. And a lot more. Heather Richardson is a nurse by training and is now Joint Chief Executive of St Christopher’s Hospice in London. Gillian Chowns is a social worker by profession and is Chair of the Board of Trustees of Palliative Care Works, a charity offering education, training, and mentoring in resource-poor settings. The contributors are all from the U.K. This material was originally published in Journal of Social Work Practice 2016, Vol. 30, pp. 115-228. The book has an index that was probably not in the journal. This book made me sit up and take notice. I found that having things described from the slightly different angle that is the social work perspective was refreshing and provided some new insights. I was particularly interested in the use of Schwartz Rounds and the deliberate steps taken to promote containment. Anyone who works in palliative care will benefit from reading this little book and, I think, will enjoy it along the way. I must say I was a little surprised when I looked up the prices on Amazon. This is a collection of 16 real-life cases exploring the complex range of issues inherent in end-of-life medical care. The authors are at pains to emphasize how complicated things can get, although I doubt anyone reading this newsletter needs any convincing. It is divided into three sections. The first deals with complex issues related to pregnancy, newborns, and young children — the pregnant woman dying of tongue cancer, young parents facing difficult decisions regarding treatment for neonates with congenital abnormalities that may be further complicated by religious or cultural views, the four-year-old with incurable cancer whose parents insisted on ongoing intensive therapy, and a story involving post-mortem sperm retrieval. 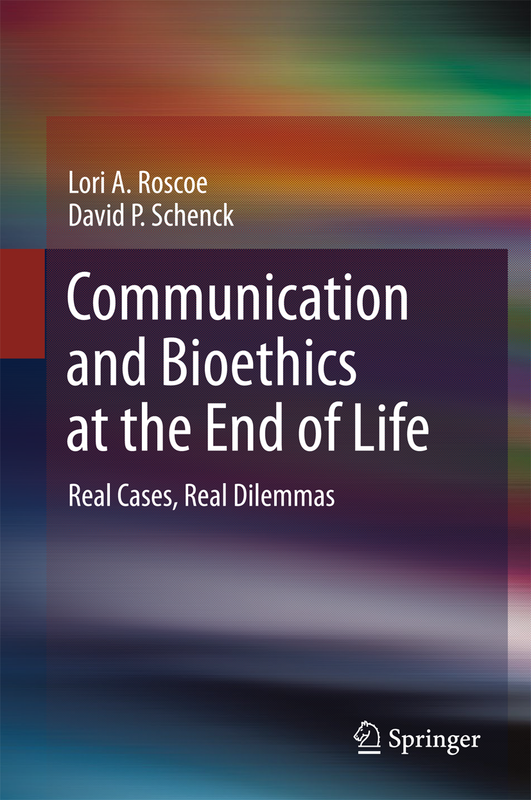 Each case includes the clinical history and a list of suggested discussion points, followed by two critiques: one focused on the ethical problems, the other on communication issues. The second section concerns issues related to family involvement in decision-making — the woman who refused to believe that her young daughter was brain dead and that her life support could be discontinued, the mother of a young man with widespread colon cancer who forbade the involvement of the palliative care team, the 25-year-old woman dying of cardiomyopathy whose advance directive was successfully contested by her schizophrenic mother, and several more grievous tales. The last section is about autonomy and balancing benefits and burdens — the Jehovah’s Witness who refused permission for his fiancé to be transfused when surgery was unexpectedly complicated by hemorrhage, to treat or not to treat a man with advanced head and neck cancer, the alcohol- and drug-abusing man with life-threatening infection and the patient’s right to treatment, and the man who had cared for his disabled wife for many years until he became depressed and unable to continue his caring due to self-neglect. Based on the multiplicity and magnitude of difficulties, all the stories here score nine or 10 on a scale of 10. What about the 19-year-old Hindu girl rendered quadriplegic and ventilator-dependent in an automobile accident, whose uncle told the medical staff that in their culture it is the family and not the patient who makes decisions, and that the life support should be stopped because her injuries were a result of bad karma from a previous life? By the end, I wished the authors had turned their blowtorch on the sort of problems we see every day in palliative care: Mr. or Mrs. Ordinary with a single major issue. In the introduction, it is noted that 20% of Americans live in a state where physician-assisted suicide is legal, but euthanasia and physician-assisted suicide do not get a mention after that, which I thought was an important omission. Dealing with the communication and ethical issues associated with physician-assisted dying will be one of the big challenges of the next decade. I found the text heavy going in places, but if you work in palliative care you will benefit from reading the stories and asking ‘What went wrong?’ and ‘What could have been done better?’ I thought the critiques provided good insight into how the experts think about these issues. Lori Roscoe and David Schenck are from the University of Southern Florida in Tampa. The book is divided into three sections: Context, Intervention, and The Bigger Picture. The first includes chapters on barriers to engagement, and types of distress — physical, neurological, social or spiritual, psychological, environmental, or lifestyle. The next deals with various approaches to assessment and a range of engagements and interventions. 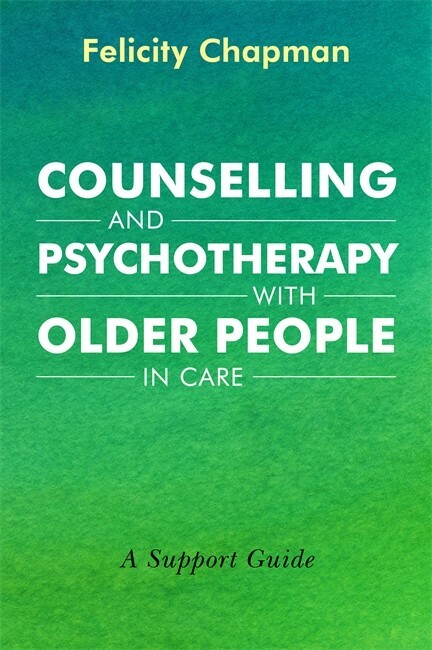 The last has chapters on attitudes (that includes a neat list of five forms of ageism or disempowering attitudes), building senior-friendly care systems, and self-care for the psychotherapist. So what has this got to do with palliative care? Going through this book, I could not help but be impressed by the way she looks at all aspects of the person, which is something we espouse in palliative care. I was also impressed by her down-to-earth approach to assessments, interventions, and the goals of care. I think some of the material in this book may assist you in trying to deal more effectively with the psychological suffering that we see in our palliative care patient population. In addition, we see a lot of elderly patients, a significant number of whom have age-related psychological concerns or problems in addition to whatever condition got them into palliative care; reading this book may help you understand and deal with those problems better. If these aspects of palliative care are of special interest to you, you will enjoy this book. Felicity Chapman is an accredited mental health social worker and experienced psychotherapist from Adelaide in South Australia. Review copy courtesy of Footprint Books. Adolescent and young adult (AYA) oncology patients have perhaps not received the attention they deserve in the past, hidden as they are between the specialities of pediatric and adult oncology. This book is about the evolution of a new subspecialty — AYA oncologists and AYA oncology ‘centers of excellence.’ Whilst not necessarily disagreeing with the principles expressed, I repeatedly questioned whether what they said about the facilities and resources needed for these units was either available or affordable. The opening chapter reviews the recommendations for improving AYA oncology services in both the U.S. and the U.K., and provides some figures on the incidence of cancer and the mortality in this age group. The next is about research and the importance of clinical trials, a theme that recurs in many of the contributions. 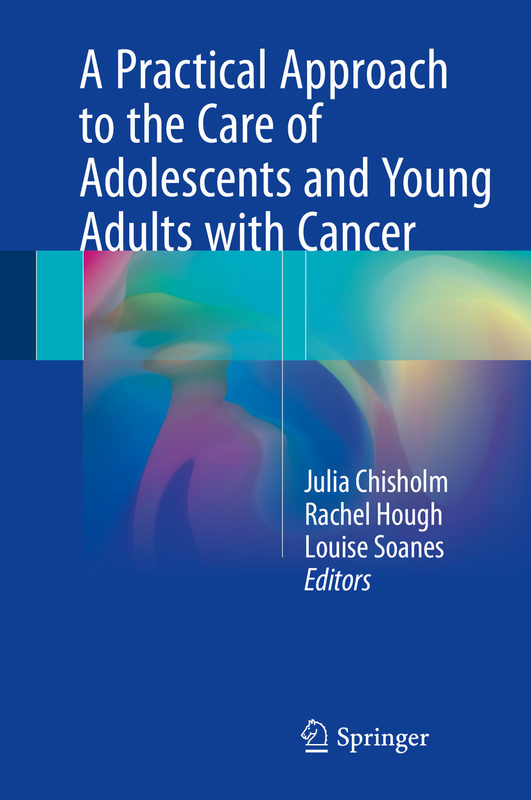 There is a chapter on models of care, but there is no consensus as to the age range involved. The age range for AYA in the U.K. is 13 to 24, which seems reasonable; others argue that all patients up to the age of 39 should be included because it is important ‘to support young people in their personal development.’ What tosh! There are chapters on psychological support and social care, AYA behavior, survivorship, fertility issues, palliative care, communication, and caring for the carers — both family and friends, and health care professionals. I had a few problems with this book. First, whilst singing the praises of AYA oncologists and their ‘centers of excellence,’ it is implied that the pediatric and adult oncologists who managed this group of patients in the past were incompetent: ‘neither of which satisfactorily [met] the needs of young people with cancer.’ Having looked after a full share of patients aged between 16 and 25, I found that comment both sanctimonious and offensive. Then there was the business about clinical trials. Response rates and survival for AYA oncology patients appear inferior to patients both older and younger, which is directly blamed on the fact that more AYA patients diagnosed today are not being enrolled in clinical trials. Which is rubbish. ‘Participation to high-quality research, particularly clinical trials, is advocated as the gold standard of care in many health care systems.’ Firstly, it’s poor English. Secondly, the idea that patients must enrol in a clinical trial in order to receive a high standard of care does not make sense. Clinical trials will enhance what is in the researcher’s curriculum vitae, may benefit the pharmaceutical companies involved, but ‘there is little evidence to demonstrate that participation in a clinical trial by itself is associated with a survival advantage for an individual.’ (That is not to say we should not be enrolling patients today, in the hope that it may help those diagnosed in five years’ time). 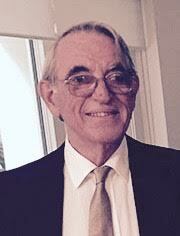 In my practice, I collected a crowd of patients from a number of different hospitals who were fleeing clinical trials. They told me that after you signed up, you were treated as just a number, and never saw the same doctor or heard the same information twice; but of course nothing like that would ever happen in the units run by the contributors to this volume. If, however, the only way one can get a high standard of treatment at your institution is by signing up to a clinical trial, then the non-trial therapy you provide needs to be seriously assessed. 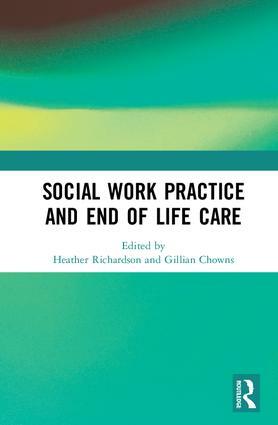 The chapter on palliative care includes some interesting discussion about end-of-life care, including conflict in decision-making, wishes and memory-making, and DNR orders. I thought the 15-page summary of pain and symptom management was too brief to be of much practical use. It was the discussion of when and how palliative care was introduced that caused me trouble. The majority of AYAs with progressing or relapsing disease continue to die in hospital receiving cancer-directed therapies, and the arguments for the introduction of palliative care at the time of diagnosis or, at least, at the time of first relapse are reviewed. There would be ‘a dual approach, providing both oncology and palliative care in parallel.’ How wonderful! So in the morning they talk to the AYA oncologist and discuss further anti-cancer therapy and all the benefits that might bring, such as symptom improvement and life prolongation. And in the afternoon they talk to a palliative care specialist where ‘discussions around symptoms at the end of life and place of death should take place.’ Whilst I agree with the theory that the AYA and their family might benefit from both oncology and palliative care services, I am concerned that having simultaneous conversations pointing in essentially opposite directions would increase the stress on the patient and family, and I know that the medical oncologist and palliative care physician are unlikely to work together in some dream-like seamless and harmonious manner. Given the fact that many AYA cancers are curable, you have to wonder if the AYA oncologist even wants the palliative care specialist in the door. Most of the contributors to this volume work in the U.K. I was interested to note that of the 23 editors and contributors, only three were male. Institutional affiliations are given but not their professional role, which I would have liked to see. There were a considerable number of simple grammatical errors. This book provides a good review of the birth and early years of AYA oncology. I enjoyed the enthusiasm, but worried about the credibility gap between dreams and reality. How and when palliative care fits in is problematic, similar to what I said about pediatric oncology (see the February review of Palliative Care in Pediatric Oncology, Wolfe et al.). If you work in palliative care and you have significant numbers of AYA patients, this book will be of interest to you.